Four bits of information on migration to Europe and Germany in particular called my attention last week: An article in the latest issue of the economist (“Let them in and let them learn”, August 29th-September 4th 2015); a news header in the Frankfurter Allgemeine Zeitung (FAZ), a German Newspaper; an interview with the head of the German national office for migration broadcasted at Deutschlandfunk, the German equivalent to the BBC, and a phone call with a relative in Potsdam, a mid-sized city nearby Berlin (most famous for Park Sanssouci, the German Versailles, and the Potsdam Conference in 1945). The FAZ-newspaper article first: The secretary of education in the German state of Thueringen intends to stop letting children of refugees families to go school. So far, there is compulsory school attendance for every infant aged 7+ on German soil. This is a bad idea. To leave the most vulnerable in society behind, is foolish for their personal well-being, but also for an aging education based society. This is also the reason why, as “The economist” points out in the aforementioned article, a “bigger welcome mat would be in Europe’s own interest”. The United States have benefited from the continuous inflow of migrants, both skilled (Silicon Valley) and unskilled ones (farming and service sector). Seemingly there are potential payoffs for Germany, as well, but this prospect subject to some condition. The first one: Migration policy in Germany needs a migration law. There is none in Germany, yet. Setting standards is helpful in any case. The second condition: The procedure for granting the right of asylum in German has to be (i) more firm and (ii) more rapidly. As the Economist puts it, “Syria is a hellhole; Albania is not”. To say no has to be potential outcome of the procedure for granting asylum. The procedure has to be more rapid, both for the sake of the refugees and German taxpayers. In Germany it takes 5 months to arrive at a conclusion in an asylum seeking procedure, on average. In Switzerland and Norway the number is 48 hours. German decision makers should book their tickets to Oslo, or more cheap, to Bern, and identify the reasons for performance gaps. Performance Benchmarking is a good idea. The third condition: Refugees have to become integrated in real terms. Clustering them in refugee camps first and later in suburban boroughs is another foolish policy. The city of Potsdam seeks out a better way of doing things, as my phone call informed me. 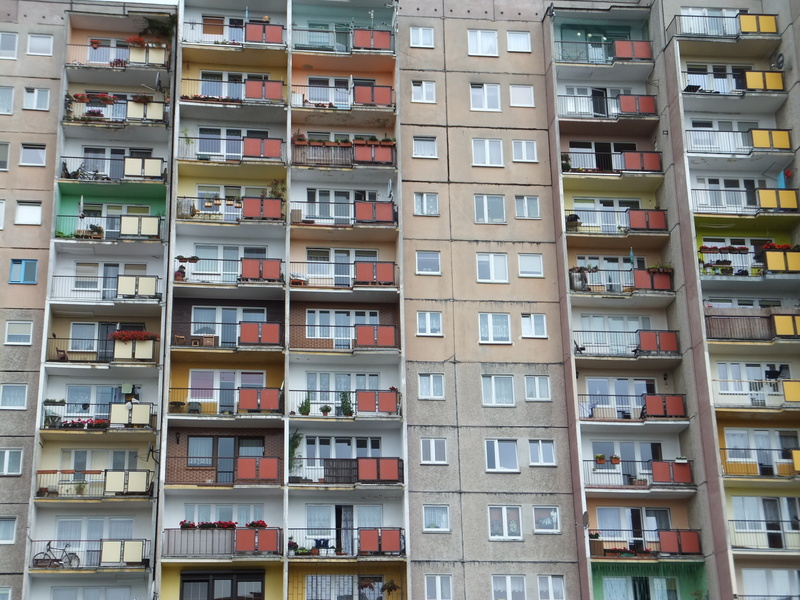 As new refugee arrives, he and his family will be accommodated in an apartment in state-owned housing blocks which are common in Eastern Germany and lack any notion of run-down second class accommodation. Regular German people live next door. And the other next door. This is quite different from stuffing a dozen of families into a former casern. And the refugee’s children will have their first day at school on next Monday, as kids from the other regular peoples’ family will do. Integration triumphs over clustering and its unintended negative side-effects. Best-practice. So let them earn, let them learn and take a decentralized approach to accommodation.